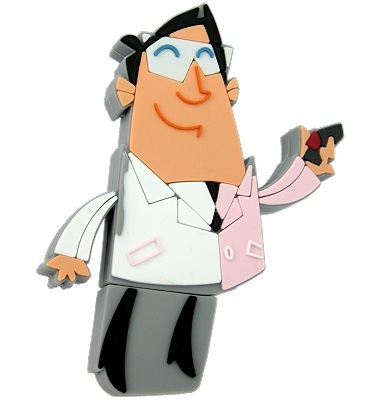 2D Custom Marketing USB Stick as a Branded Promotional Gift. 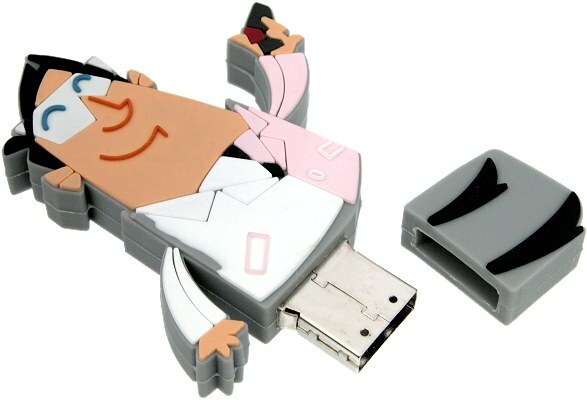 The USB stick is encapsulated in a sandwich of rubber that is moulded to any shape you choose. In this case the front has recesses to divide the front surface into sections. Each section can have a different colour with the gap providing a clear definition. The rear of the USB stick moulding has a bold logo in relief of the surface. 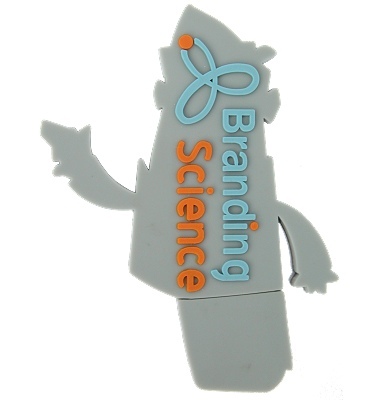 This 2D Custom USB stick is of the character called Brandon who belongs to Branding Science. 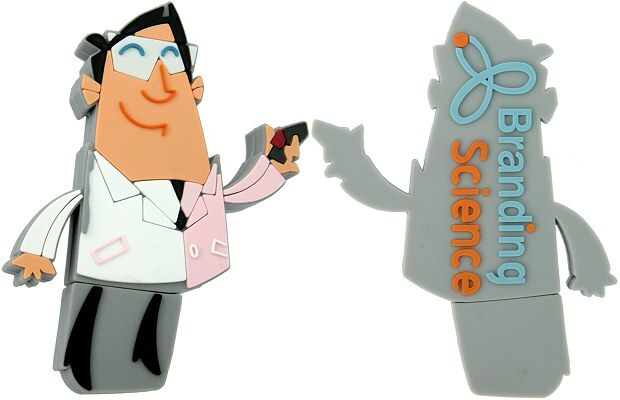 If you follow Branding Science on Twitter you might see Brandon in action in various Tweets.